Boho Chic themes has been purchased 55, rating: 4/5 based on 4 reviews. 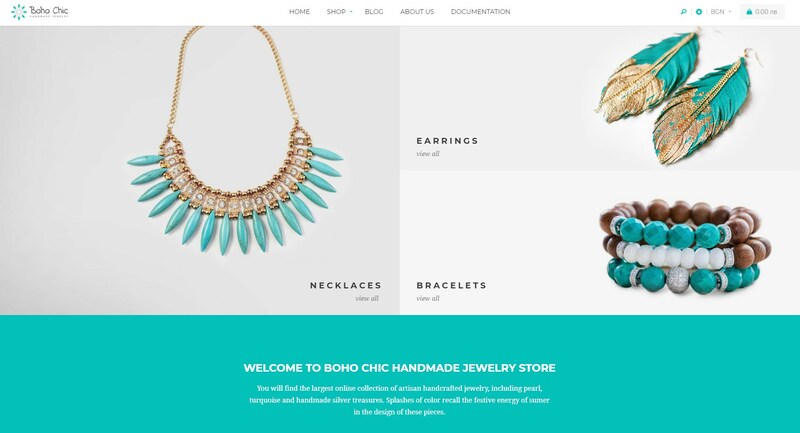 Boho Chic is a great Shopify theme for e-commerce store. It is suitable for many different stores such as jewelry, accessories, handmade, fashion, clothes, furniture, etc. Besides that, it can meet on any device like mobiles, tablets, computers, screens, laptops, etc. In particular, Boho chic comes with many powerful modules such as SEO, Mega Menu, Revolution slider, Slideshow, Quickview, Related Products, Ajax technology, etc. Boho Chic promises to bring the interesting experience for customers as well as help increase sales dramatically. It’s time for you to choose Boho Chic Shopify theme and feel the great value that this theme brings.